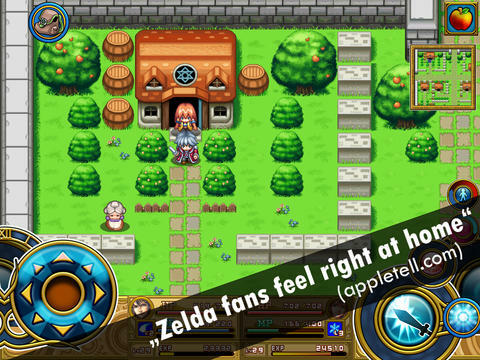 Across Age is a classic 2D action RPG in the style of Zelda. It claims to offer fifteen hours of gameplay, with cut scenes. It includes some puzzles, apparently you’ll need to “find spike shoes to walk on ice” and “burn bushes to open new paths” and so on. One feature is described as travelling through time to “revisit places, enabling exciting events and riddles”. Such as going back into the past to leave a crystal in a special pool, then in the future it has grown into a weapon. Another feature is that you play as two pre-defined characters, a knight and a mage, and they have to cooperate with one another to get through. Boss battles require interesting strategies.